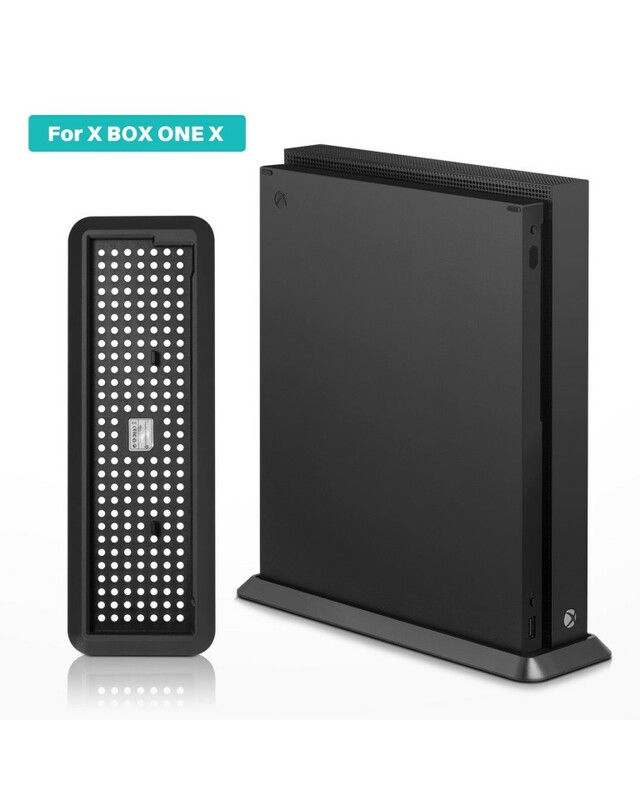 Design for Xbox One X：Specially designed for Xbox One X, with heat dissipation function. 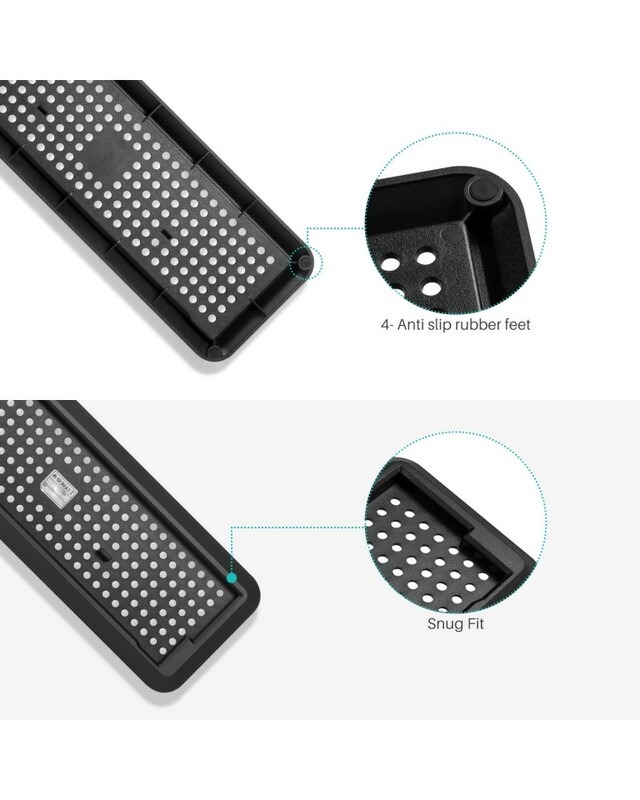 Secure & Safe: 4 Anti-slip rubber feet keep your console in place without sliding. 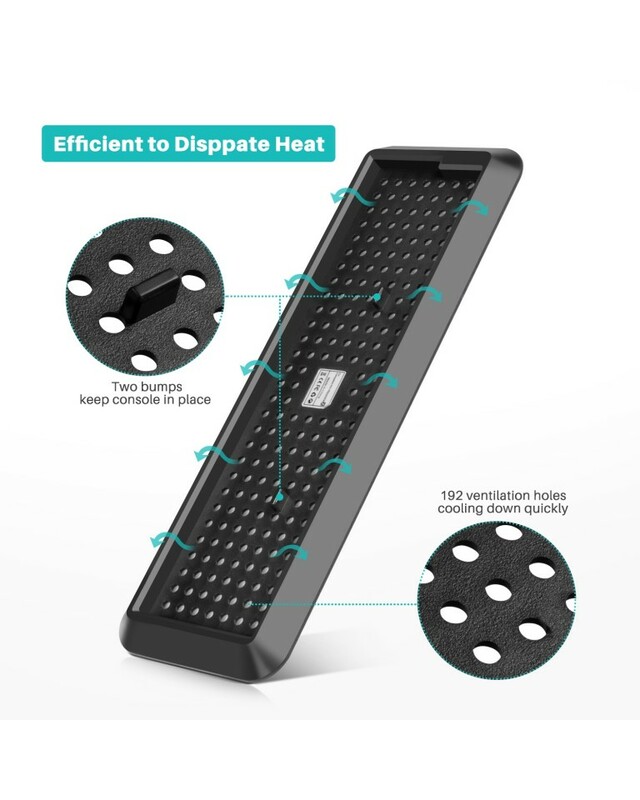 Securely protect your Xbox One X.
Cooling Vent : 192 vents efficiently cool down your console quickly when operating. 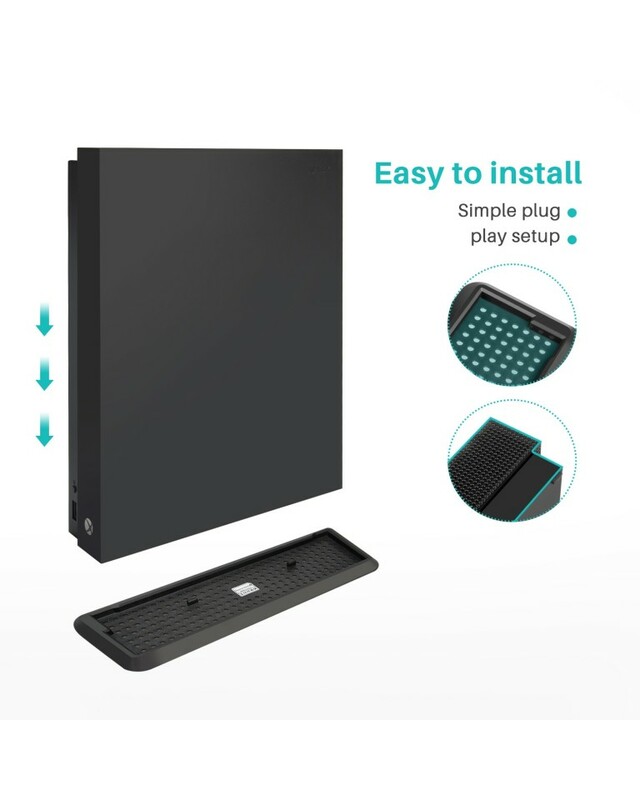 Easy installation & Dissemble: Just place your Xbox One X on the stand and it will be smoothly fixed with vertical stand, simply play and set up. 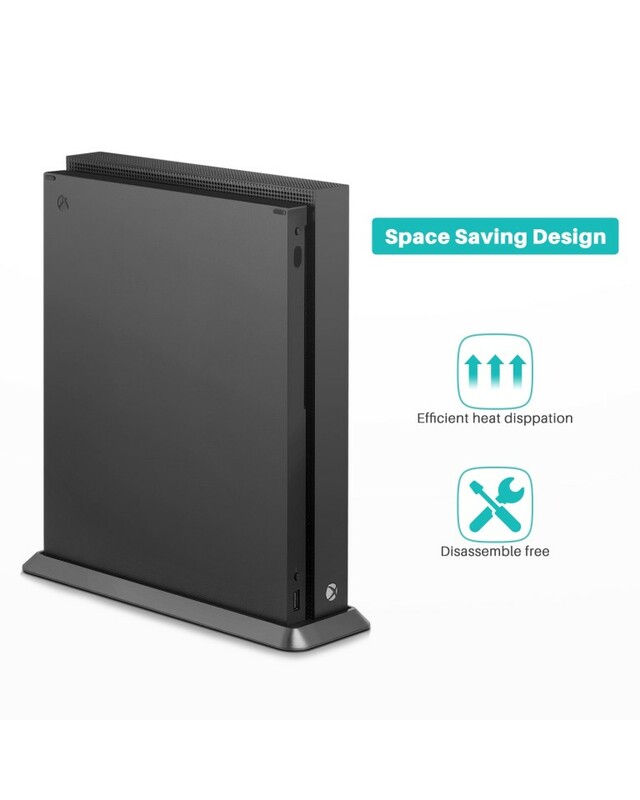 Compact Size: Saving space design allows your Xbox One X Console in its upright vertical position. Are you still worrying about your Xbox One X tipping over? 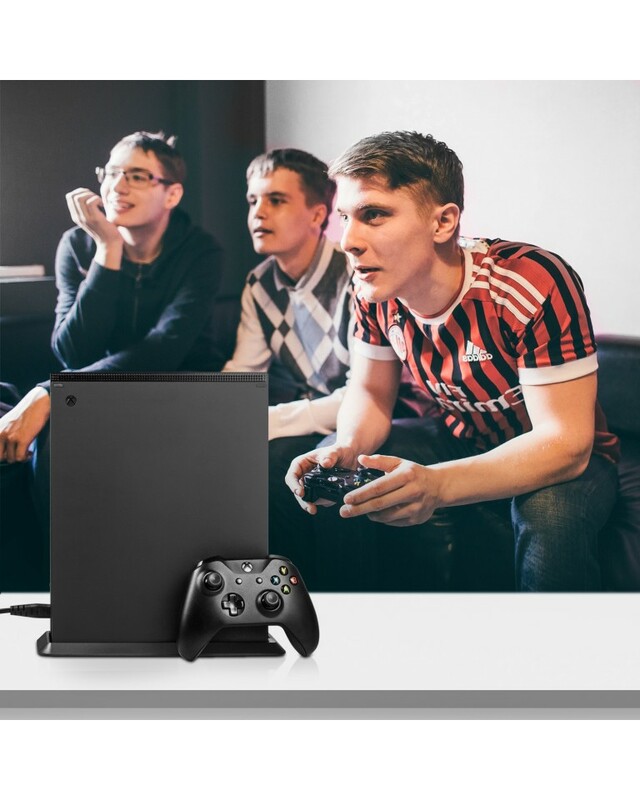 innoAura vertical stand designed specially for Xbox One X with two bumps and snug fit to hold your console securely. Just simply set up, then you can enjoy the games. So What’re you awaiting for? Just click “Add to Cart” and take it home. 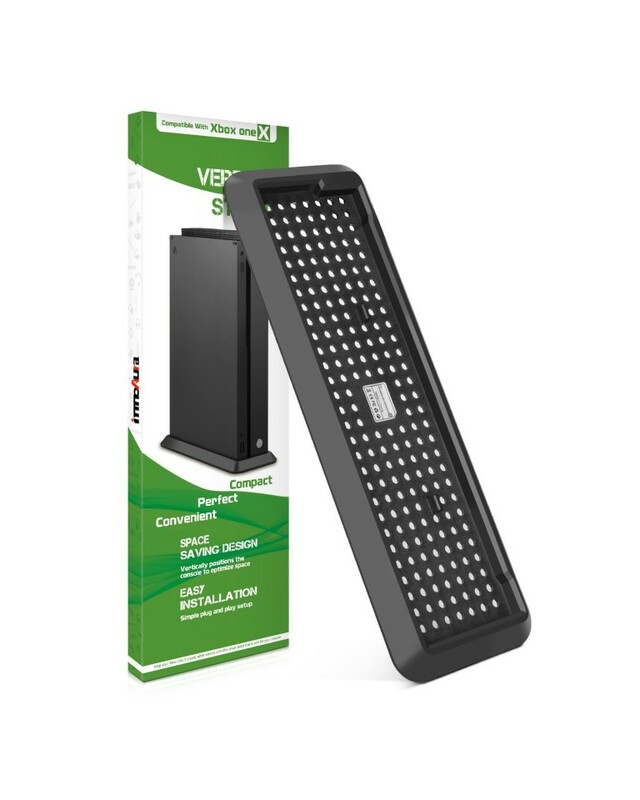 1 Vertical stand, compatible with Microsoft XBOX ONE X Console only.